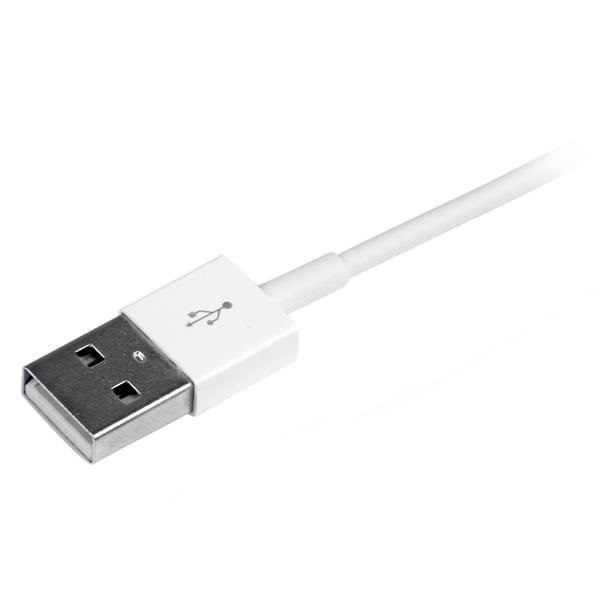 The USBLT1MWS 1m Slim Lightning to USB Cable is colored to suit white iPhone, iPod, and iPad mobile devices and provides a reliable solution for charging and syncing your Apple devices with your PC or Mac computer, through an available USB port. 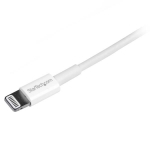 The cable offers a slim Lightning connector housing which plugs into your device even while it is inside a protective case, so you won't have the hassle of constantly removing the cover each time you charge or sync. 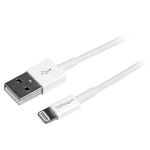 Plus, the reversible 8-pin connector can be plugged into your iOS-enabled device with either side facing up, meaning there is no wrong way of inserting the cable into the device.